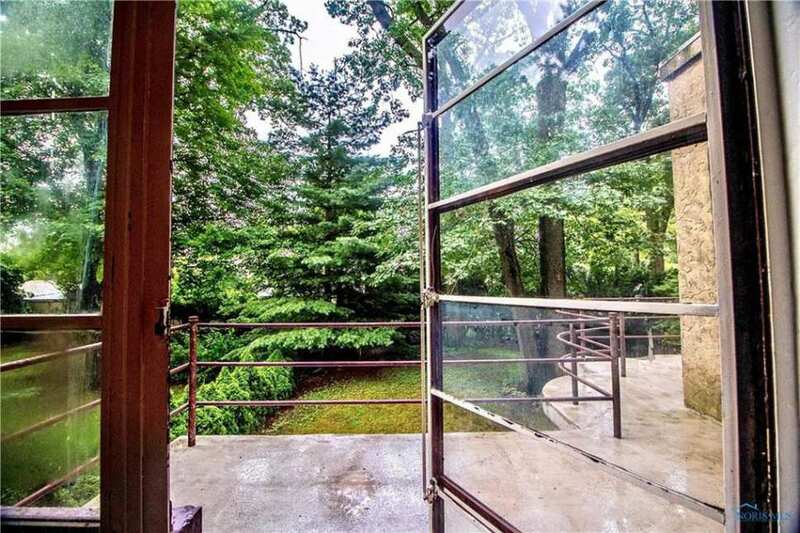 Check out this Art Deco, Old Orchard stunner! So much character in the heart of West Toledo. 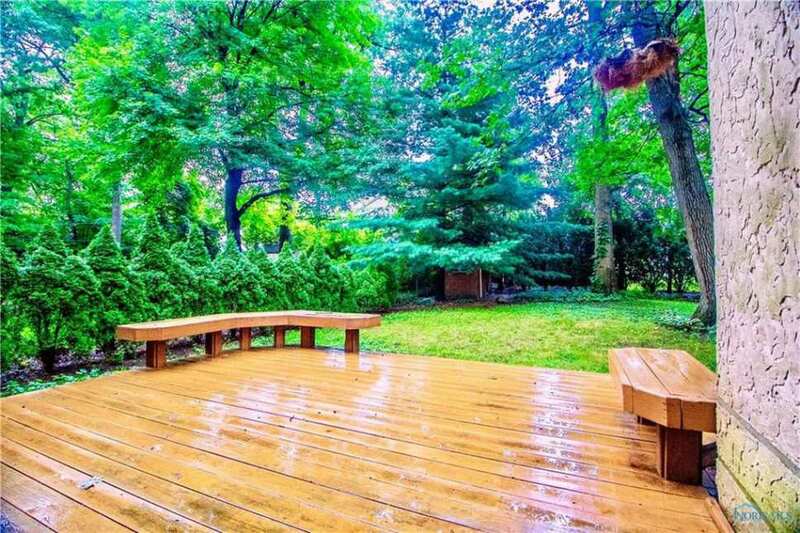 Beautiful, 60 ft wide treed lot w/ deck & garden shed. 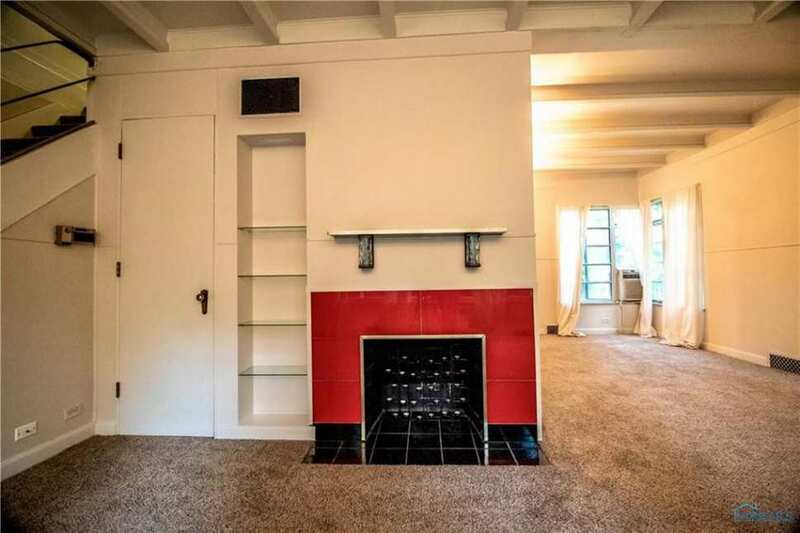 Liv Rm w/fireplace. 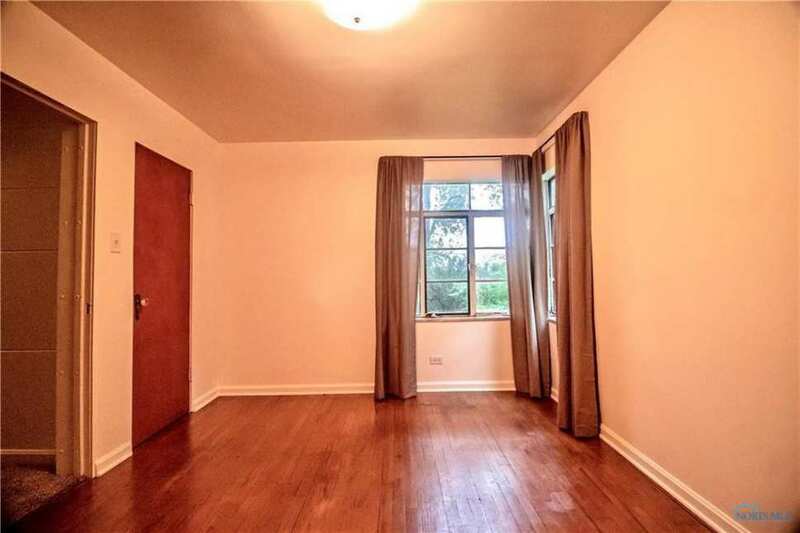 Large bedrooms. 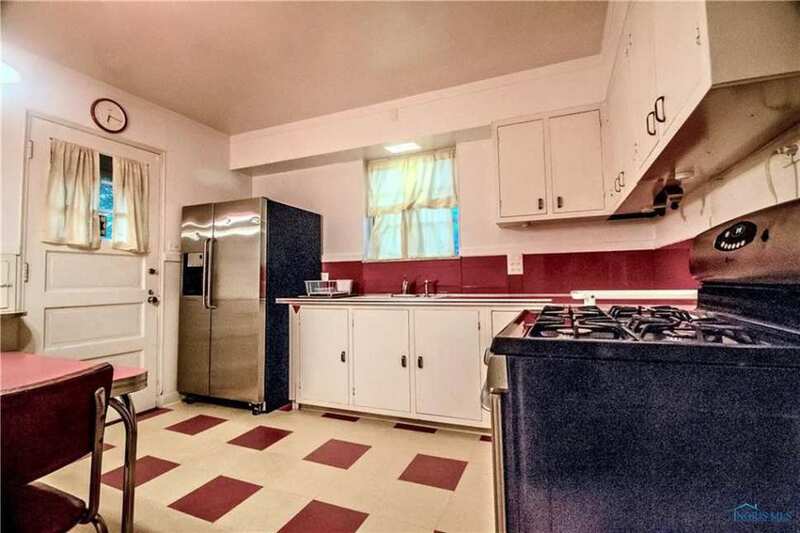 Stainless steel appliances in the eat in kitchen remain w/ the home. 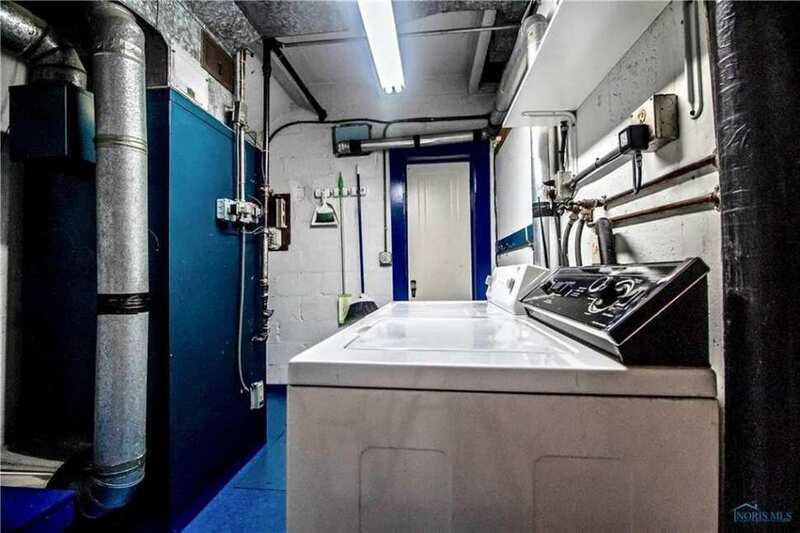 1st floor laundry w/washer & dryer. Attached garage. Double balconies-front & back. Lawn mower also included. Quiet street. Home Warranty. 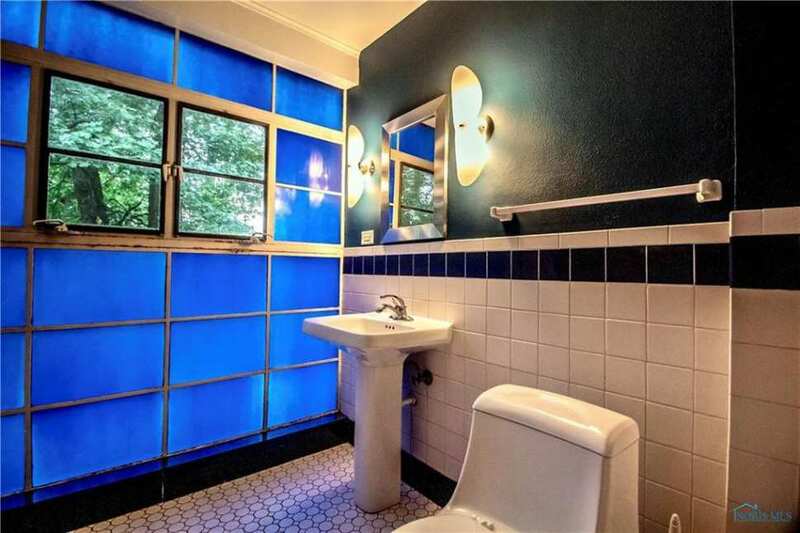 Wow, that blue glass wall in the bathroom is a great idea. I wonder why it didn’t catch on? Agreed! My eyes bugged out at the blue glass wall! I would love to see archival images of the lost bathroom. The house is fabulous. 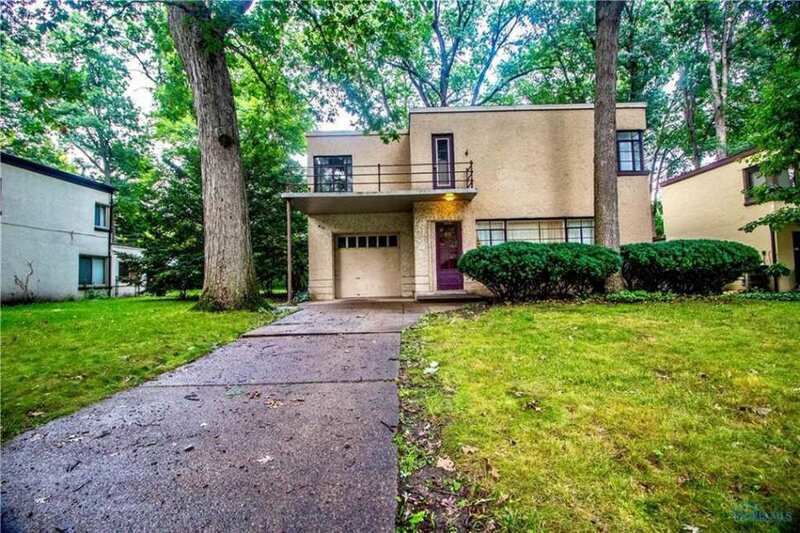 My hands itch to work on restoring a Moderne house. 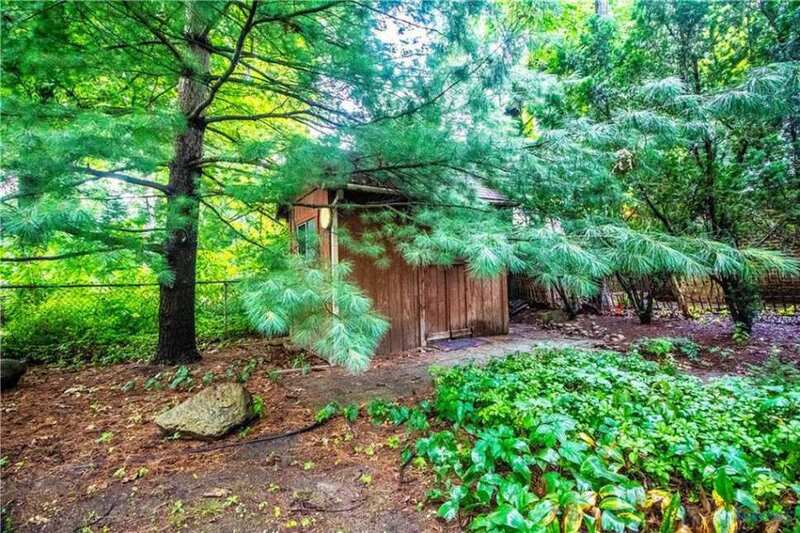 Normally, such a style house is unique in a neighborhood but this one has plenty of company! The back story must be fascinating. That blue glass wall is stunning! 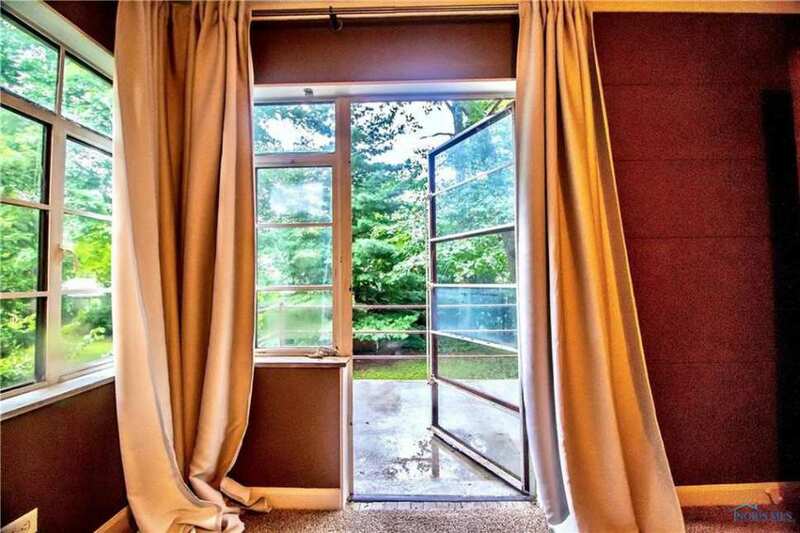 The steel casement windows are another feature I love. Also the curved balcony outside with a curved railing. Check out street view – the whole street is chock full o’ mods. As Ross said, this street is *very* interesting. It is a subdivision of nearly identical homes. Whether or not they were all identical once upon a time and slowly morphed into their own personalities over the past 80 years, I don’t know. What I do know is the effect is quite cool. I also would love to know what the story is behind the street. This particular style is not my cup of tea, but this house is too neat to ignore. 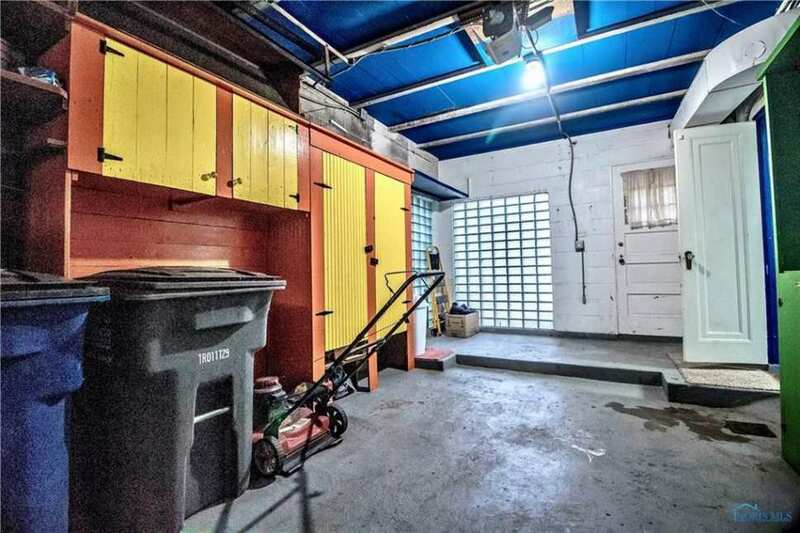 The blue wall, as already pointed out, plus the fun kitchen and super fantastic balcony/outdoor walkway make this one a keeper. I bet it is also very safe in case of a tornado. 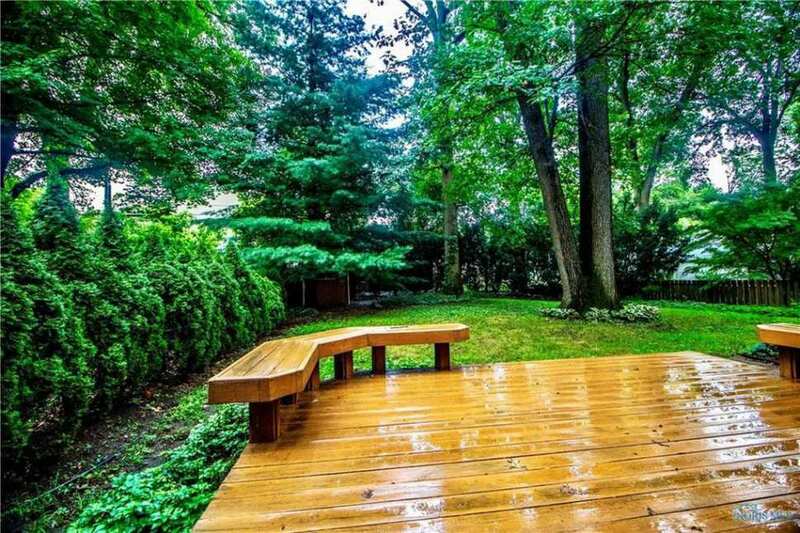 I love, love, love that deck. Talk about keeping the charm and architectural elements of the house! So much good stuff here. I love it. The cold climate would be the only set-back for me. Blue glass is electric!, glad to see this neighborhood and home. I’d love to be let loose on the exterior with a pressure washer! 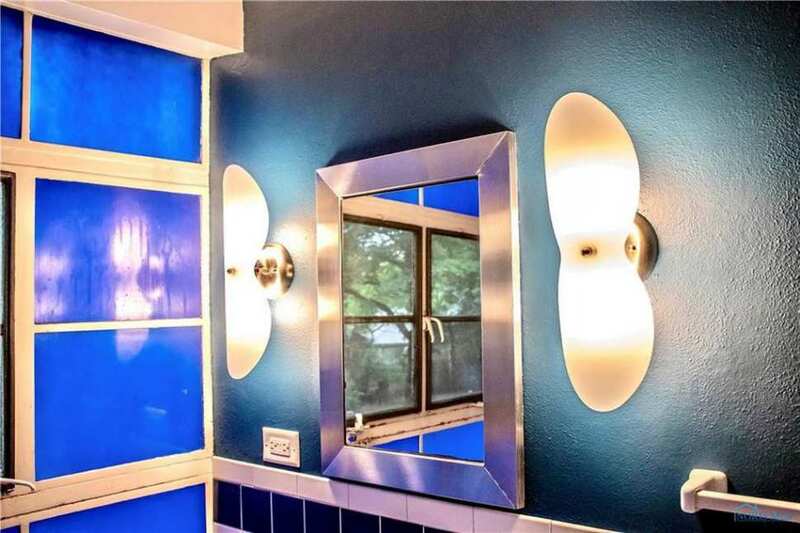 Also, I DO love the blue windowed bathroom, but I wonder how that blue filtered light would make one look when getting ready, or doing their makeup? 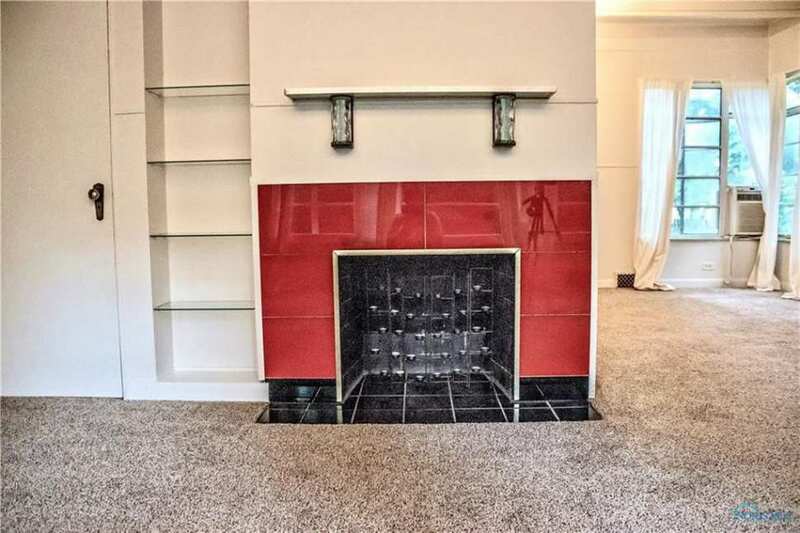 It would be perfect for a powder bath if you were to reuse the idea in a new build. 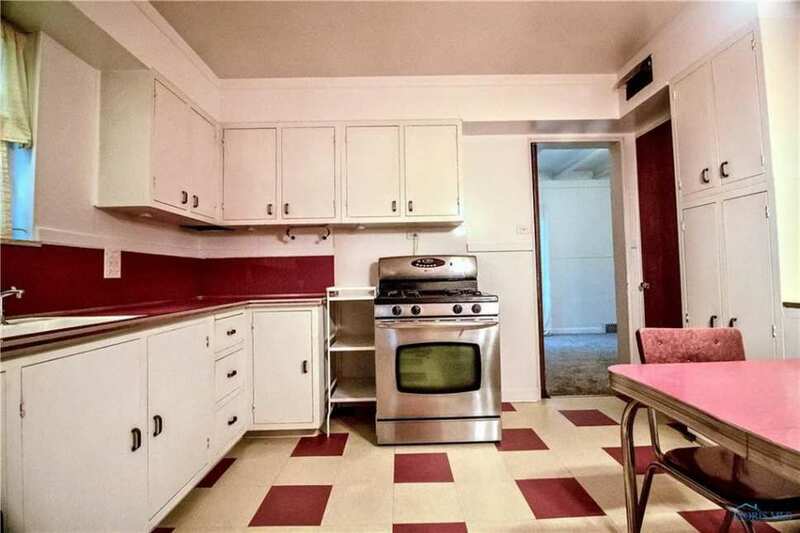 I want that kitchen — but with some more “appropriate” appliances. I’m speechless, and crying that I can’t find it’s twin in the Southeast! Thank you, Kelly for appreciating this jewel! So much here is original! I am in LOVE with this place! I would go totally Art Deco style inside! I love the kitchen as is and that cool overhead light is divine! I wonder if an outside paint job would set this beauty apart? 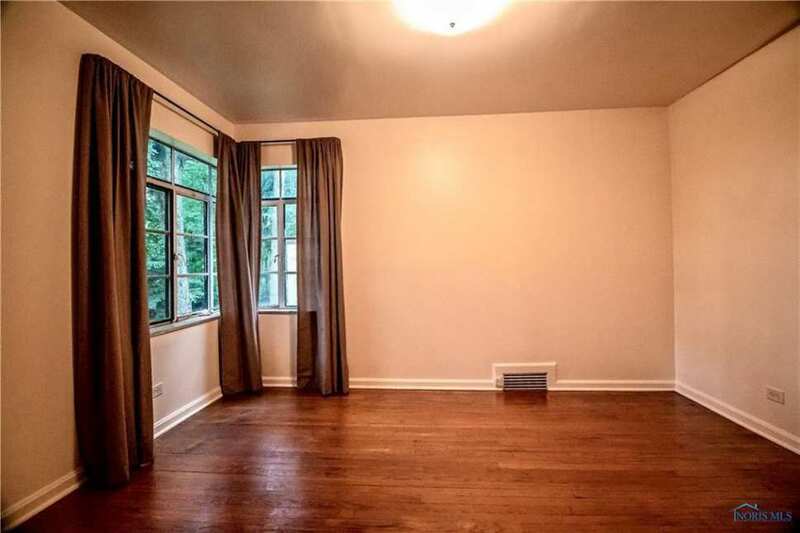 I think that maybe a light aqua paint with black windows and trim! The neighbors would probably be upset,but I would love it! I’m not going to sleep tonight thinking of this one. Wait…. Carolyn Keene was not a real person???? “She” was one of my favorite authors when I was a young girl. I am shocked. OMG! I usually don’t care for the modernistic style but Woozer!, this just shot to the top my list of all time favorites. I’m already decorating it in my head. 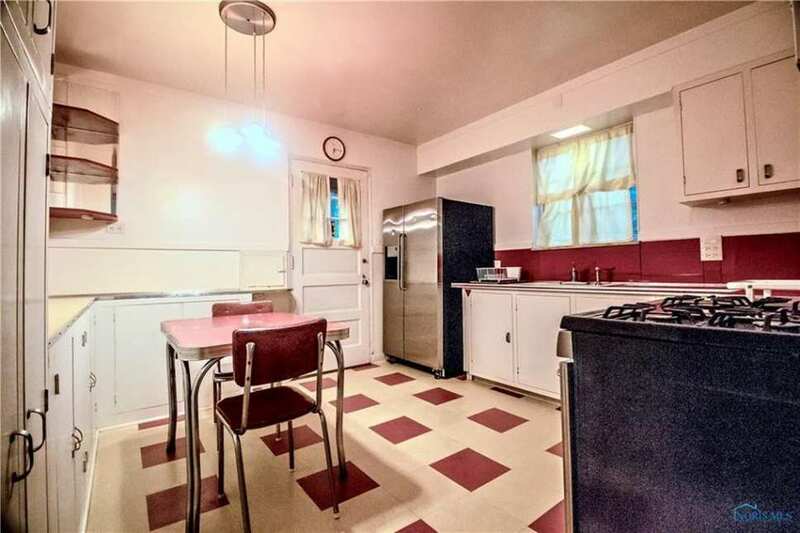 It has the PERFECT kitchen, red and white retro and that bathroom, Oh My! 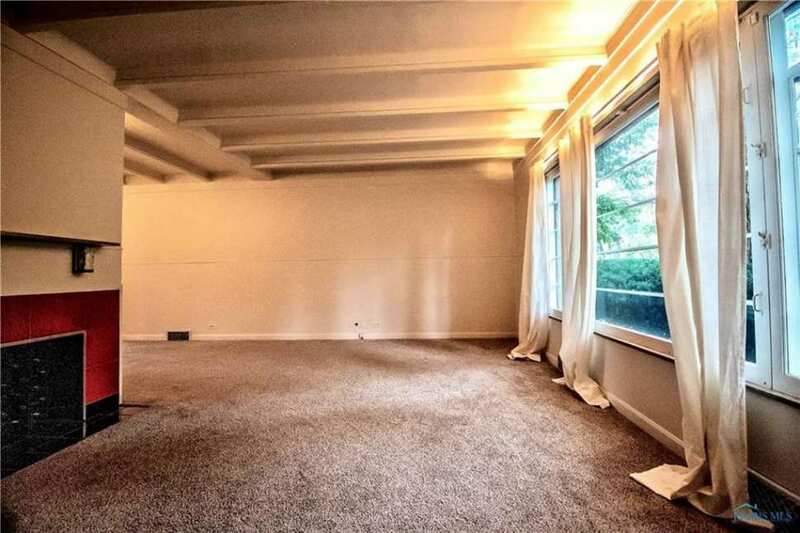 The first thing I’d do is pull up the carpet and put floor to ceiling bookshelves all down that big blank wall in photos 3 & 4. It would be amazing if I could wake up in the morning and it had transported from Ohio to my address in Texas! WOWZERS!!! The style is not one I am usually drawn to but this house is amazing. This is a very well thought out home for it’s time. 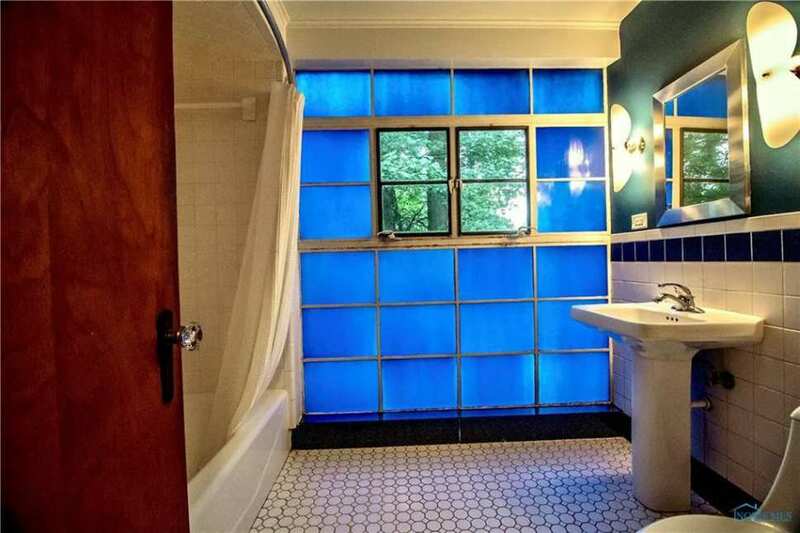 That blue glass wall in the bathroom is absolutely stunning. What a brilliant solution to bringing light into the bathroom in a dramatic way without compromising privacy (except perhaps for a very tall woman). The wrap around terrace in the rear is also fabulous and in remarkably good condition for being in a freeze/thaw climate. 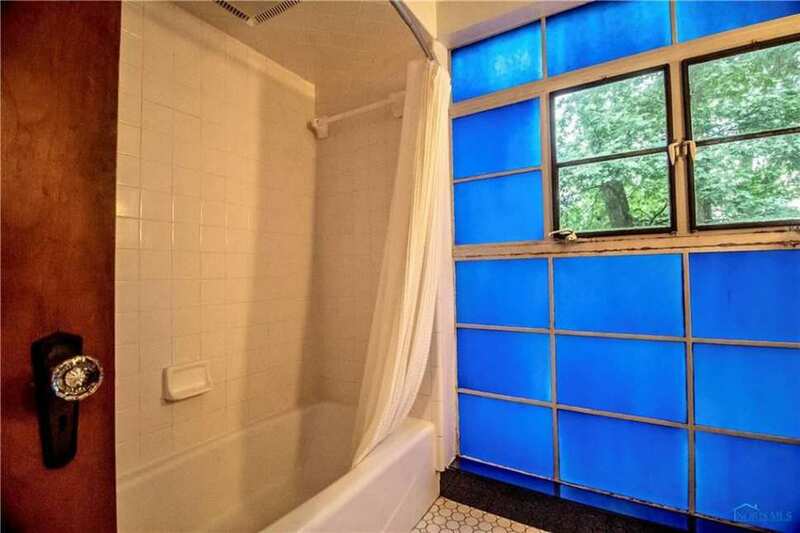 And those glass block walls in the garage! So cool! The kitchen is so wonderful with all the period fittings, and I love that they thought to install an outlet on the bulkhead above the kitchen sink for your electric wall clock. 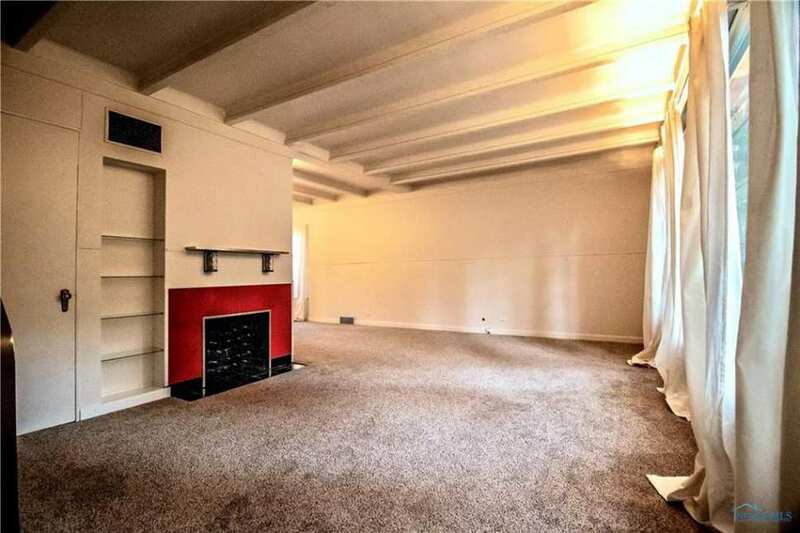 I’m curious about the lighting source above the living room window, hard to make out what it is. 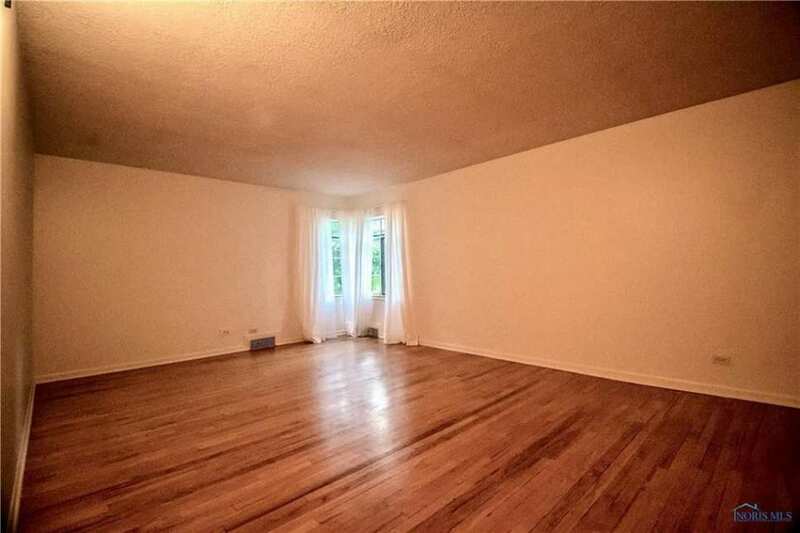 Same goes for the dining room. 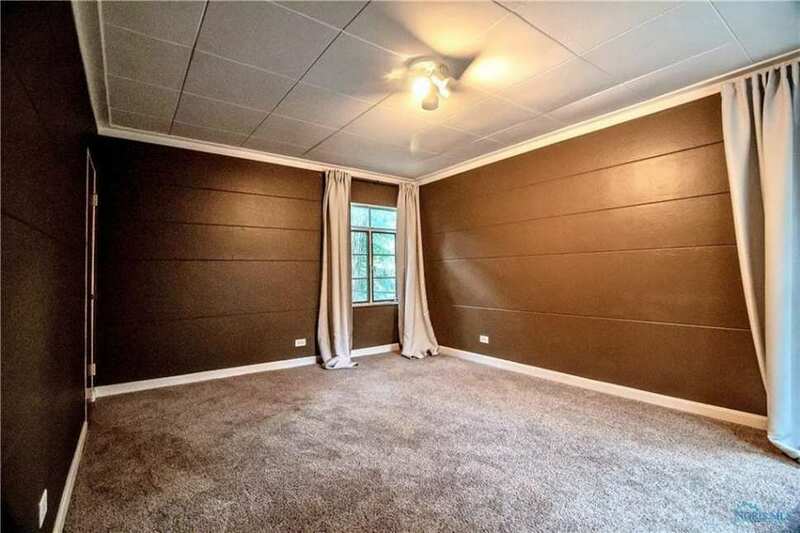 The only thing that would keep me away would be the low ceilings. I can’t live with anything less than 9′ when it comes to ceiling height. 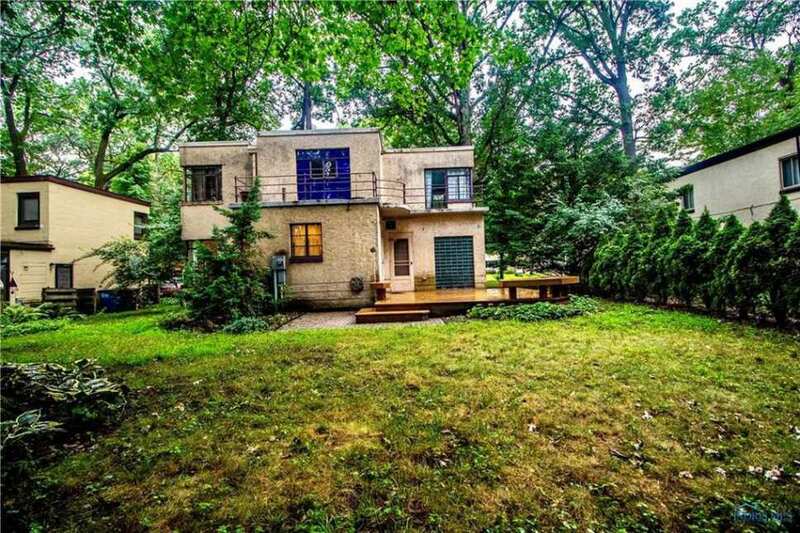 I really love this house – I’ve passed it on to my Deco Friends who hopefully will pass it along further. I want somebody to maintain it well. 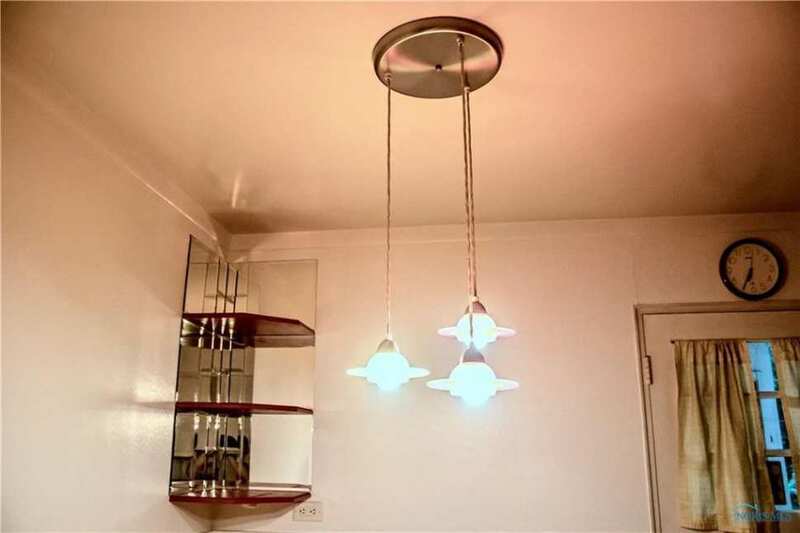 This is Art Moderne (Modernistic) rather than International. Art Moderne features the horizontal grooves/lines (as seen on the lower bit) while International does not; also the upper railing that mimics a horizontal line. The flat roof has the ledge (coping) while International does not. The back part of the home shows even more of the horizontal design. 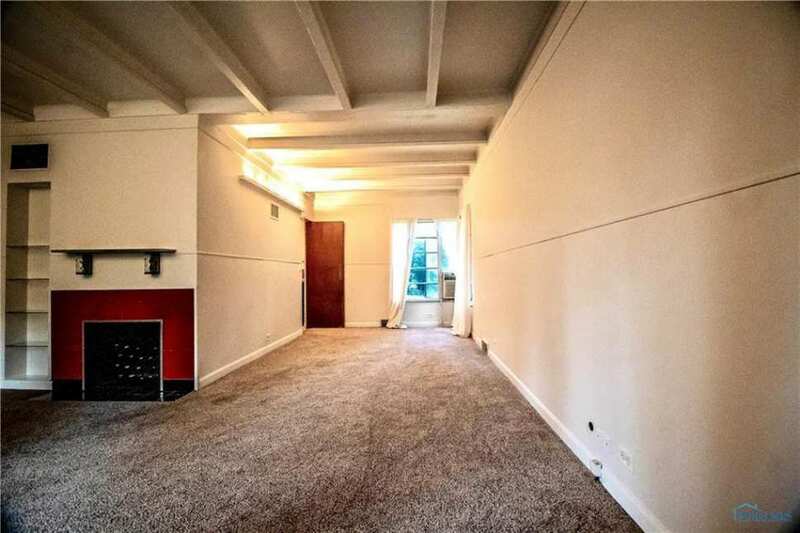 International is similar with being asymmetrical but does not feature the small detailing as mentioned above and windows are rather flush with the wall surface, if you look at the street view you can see the windows here are not. You are right about it not being Art Deco (it’s Art Moderne) it is definitely not International. Kelly, could you give an example or two of why it’s not Art Deco? I’m still trying to get a handle on these distinctions. 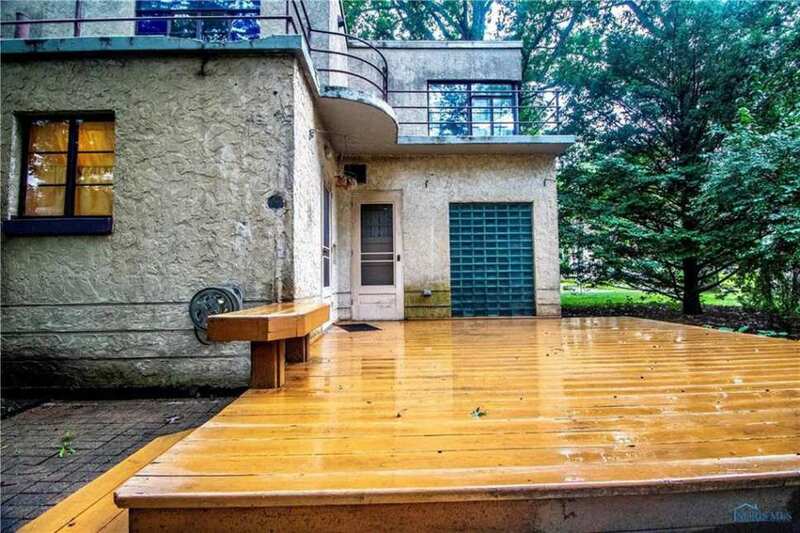 I didn’t figure it for Moderne because its lines are all so straight (except for that curve in the balcony on the back). 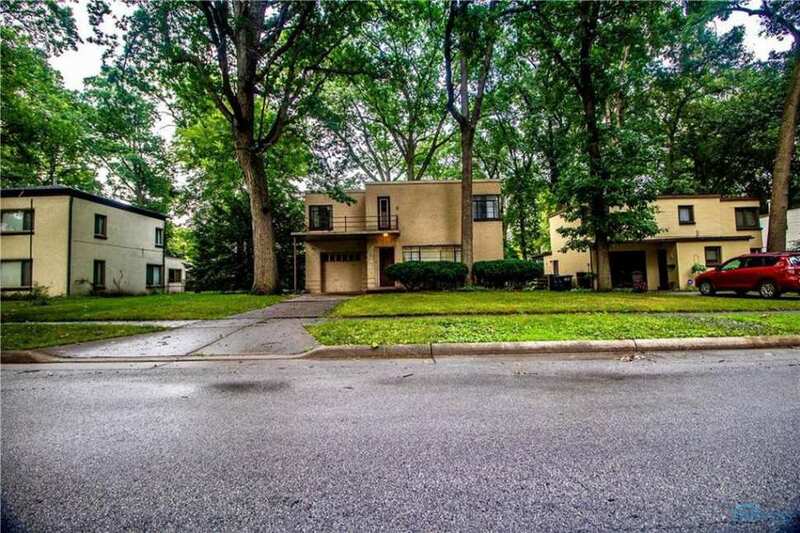 The Art Deco styling was mostly applied to public and commercial buildings, it’s rare to find residential survivors. 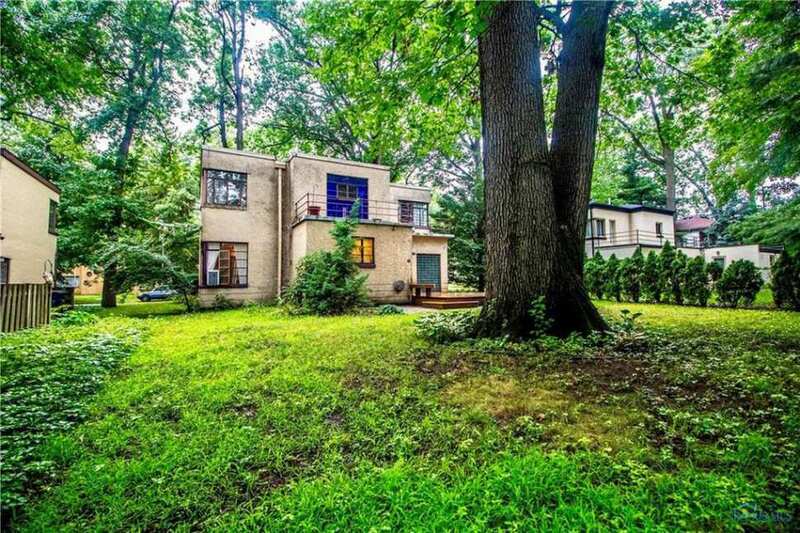 So the posted home is called a Art Moderne (streamline Modernistic) while the gas station I linked to would be Art Deco (“zigzag” Modernistic.) 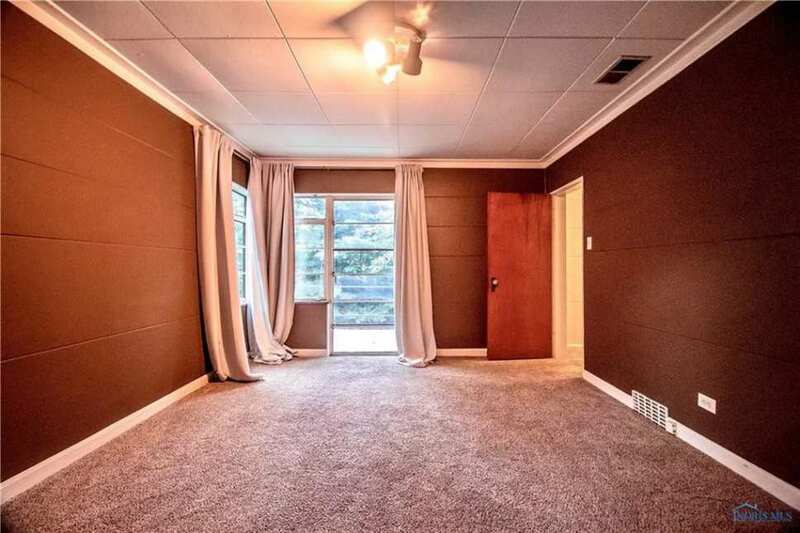 If you compare it’s more stylized with vertical and chevron motifs while the posted home is “boring” with only a small horizontal design to break up the smooth wall surfaces. 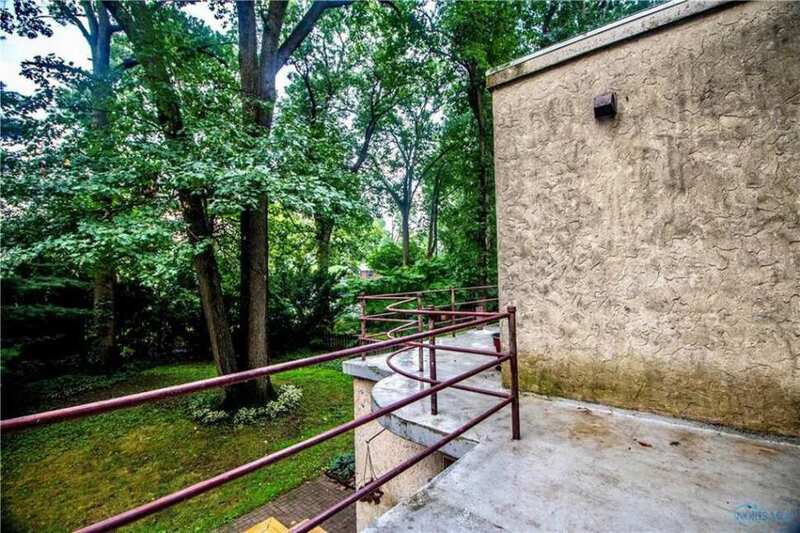 The back balcony curve would not be enough to push it into Art Deco but it is a Modernistic feature. 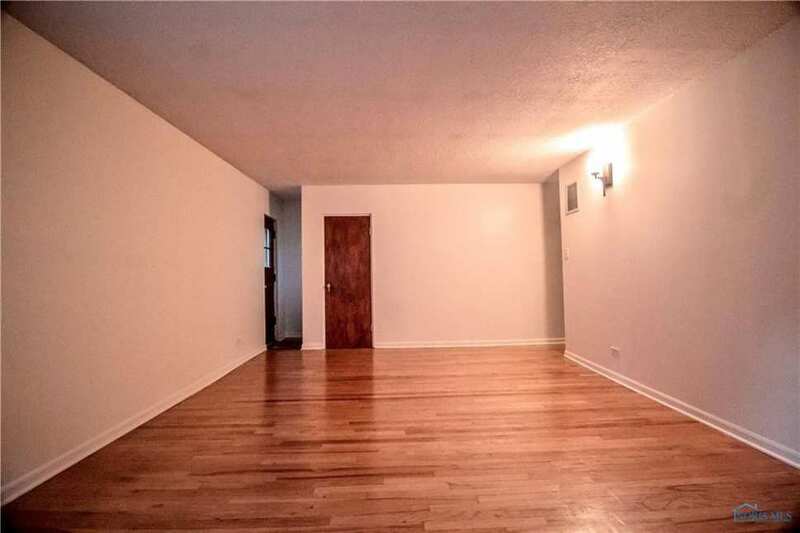 I’m sorry to see this hasn’t sold. 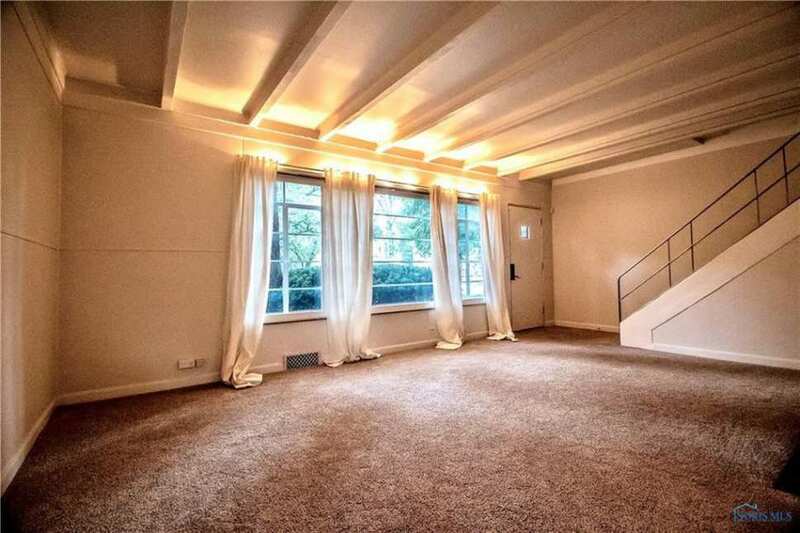 Though, of course, whenever a house like this does sell, I get anxious about what will be done to it!